June 24, 2014, Santa Rosa, Calif.,—The Sonoma County Winegrowers (SCW) are proud to announce Paul and Vicki Michalczyk as its 2014 Viticulture Award of Excellence recipients. The award was presented on June 6th at the organization’s annual Grower Seminar, Tradeshow & BBQ. 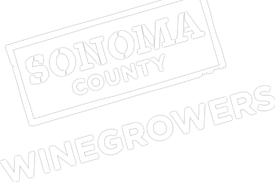 The Sonoma County Winegrape Commission (aka Sonoma County Winegrowers) is a marketing and education organization dedicated to the promotion and preservation of Sonoma County as one of the world’s premier grape growing regions. SCW has oversight by California Department of Food and Agriculture which supports producer regions. With more than 1,800 growers, SCW’s goal is to increase awareness and recognition of the quality and diversity of Sonoma County’s grapes and wines through dynamic marketing and educational programs targeted to wine consumers around the world. In January 2014, SCW committed to becoming the nation’s first 100% sustainable winegrowing region by 2019. 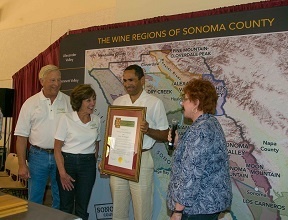 For more information about SCWC and its programs, visit www.sonomawinegrape.org.